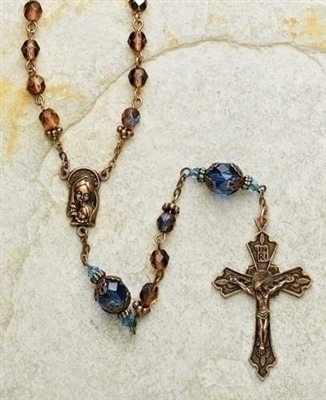 Our heirloom Byzantine rosary comes in 2 pieces gift set. The rosary measures 23" in length with ivory and gold box. Perfect for a gift.